Honoré Daumier became fascinated by the works of Don Quixote during his later years, as he was facing old age and blindness. He painted an entire series, the progression of which can serve as a commentary on his state of mind during these years. 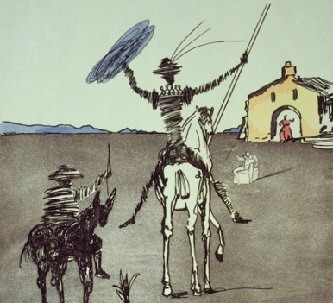 He was particularly fascinated by the two archetypes, Don Quixote, the man with delusions of grandeur, and Sancho Panza, his simple but loyal sidekick, and rarely included other characters in his drawings. Daumier started out invariably painting scenes of the two traveling which can be seen as a metaphor for the spiritual journey he was prepared to take into death. Over time, the specific references to the book were dropped altogether and it just became Don Quixote and Sancho Panza roaming alone together on an open road. Honore Daumier fiddled with the relationship of the two. 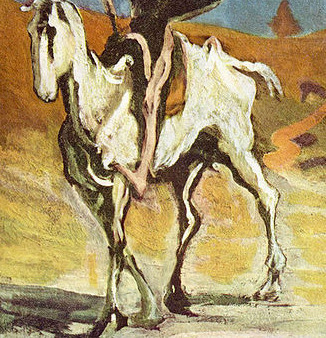 As the series progresses the viewer notes that Sancho Panza, from his proportion and distance to Don Quixote, becoming less and less important in the narrative. Finally, in pictures such as this one, Don Quixote is the only figure left. Scholars say that this was not because Daumier disregarded Sancho Panza's personality, but rather that he had merged the two into one character. 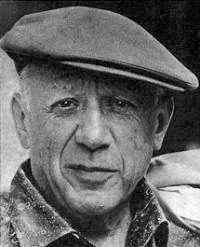 Scholars say that in this way he managed to merge the two facets of his personality: the sarcastic cartoonist and the sensitive painter. Of course, the images became less detailed over time due to the increasing failure of Daumier's sight. This painting is one of the latter in Daumier's series on Don Quixote. Daumier was inspired by the same book that has inspired artists as varied as Picasso and Salvador Dali. It has often been described as one of the world's greatest works of fiction and is certainly the most influential books to have ever emerged from Spain. As a social and political satirist, Daumier was doubtless drawn to the motifs on morality and social class contained in the book. In Don Quixote, there is a conflict inherent between old and new systems of living. Don Quixote tries to reinforce the medieval chivalric code that has all but disappeared in 17th century France. To someone who grew up in the chaos of the aftermath of the French Revolution, this longing for the past must have been all too familiar to Daumier and his contemporaries. The plot of the book corresponds in some ways to the first card of the tarot deck, the fool. In this card, the fool is usually depicted as a youth who is about to fall off a cliff due to his carelessness. While this might seem like a bad omen, it is actually the start of a fortuitous journey, for the youth is about to learn lessons from experiences that - if he had more sense—he wouldn't have undertaken. In the first part of the novel, a retired gentleman named Alonso Quixano has become obsessed with the chivalrous deeds he has read about in books and decides to become Don Quixote of La Mancha. He asks a local peasant, Sancho Panza, to be his squire. The not overly-intelligent Sancho agrees and their famous adventures begin. The composition of Don Quixote is sparse, but it fills the entire painting, almost giving it a larger-than-life feeling. The rider dominates the center of the painting, while the horse more than fills up the center foreground. While the background is detailed enough to give a sense of landscape, the foreground is almost completely missing. Daumier made the bold choice of having the viewer not see the challenge that Don Quixote faces, therefore, it is as he is riding off into the unknown, or to receive his fate perhaps. This canvas is relatively sparse, with most of the space being taken up in the center of the painting. There is an economy of detail. For example, the mountainous and sandy background is hinted at with the triangle in the background and the squiggly colored lines that run down the lower half of the canvas. The use of color is minimalist as well: besides black and white, the canvas is covered primarily by the colors blue, yellow, and red. Most interestingly, Don Quixote's face and hand is brown, while his leg is White. This gives credence to the theory that the depiction of Don Quixote alone in a painting is not an exclusion of his sidekick Sancho Panza but an amalgamation of the two characters. The control of the light in this painting is remarkably subtle, which befits someone who started out working in the print-making medium, where images are represented by the presence and absence of shadow. The brushwork is simple, as befits someone who was losing his eyesight late in life. At first glance Don Quixote is a simple painting that still manages to pack a lot of depth. The reader is drawn immediately to the rider's lance, as he charges forth into the distance. The rider faces ambiguity but he is also taking control of his own destiny. During his lifetime, Honoré Daumier hardly received any critical reception for his paintings. He submitted his works three times to the Parisian Salons and although accepted, they received little notice. 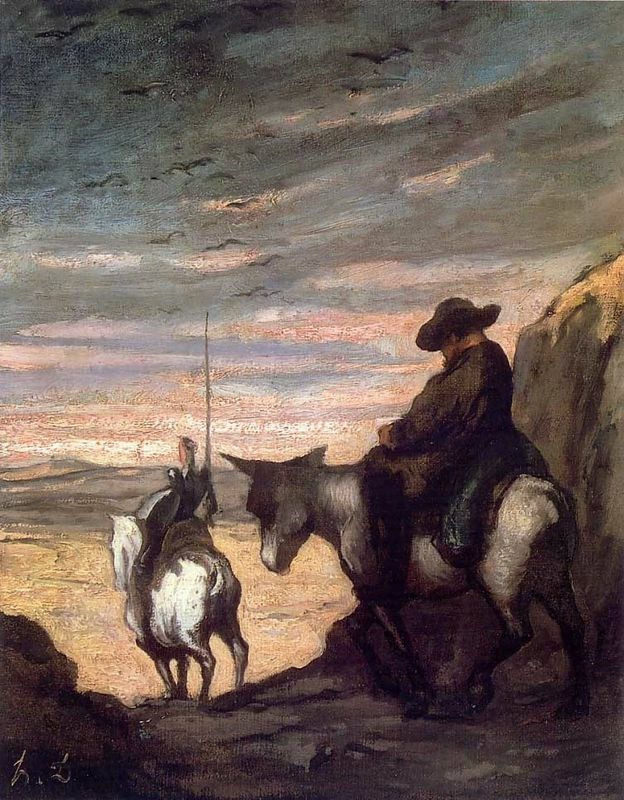 Don Quixote was probably exhibited in the retrospective exhibit that took place a few months before Daumier's death in 1879, but none of the paintings obtained much notice, positive or otherwise. Scholars also say that many of his paintings were ahead of their time, which might account for the lack of critical reception in their lifetime. After his death, paintings such as Don Quixote began to be noticed and appreciated for the mastery of their technique and their depth of vision. Don Quixote was more than just a painting for Daumier and towards the end of his life he became increasingly fascinated with the tale, painting several different versions, a few of which are mentioned below, along with depictions by other artists. Although the painting is comparatively sparse, like in Daumier's painting, it also has a larger-than-life epic quality to it. Unlike Daumier's painting, the sidekick is featured in the picture, but he is almost an accessory. Once again, the landscape is suggested with a few vague details rather than depicted outright. The most significant difference between Daumier's and Dali's painting is that the viewer knows what awaits Don Quixote: the woman of the house beckons in the distance, as Don Quixote prepares to lasso the treasure. The most obvious thing that strikes the viewer about this image is that it is less detailed and uses a more moody color palette. There are no bright oranges, yellows or muddy whites to make up for the somber tones. 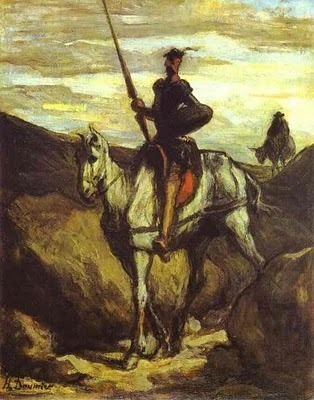 In this painting, Sancho Panza is in the distance, but the focus of the painting is exclusively on Don Quixote himself. 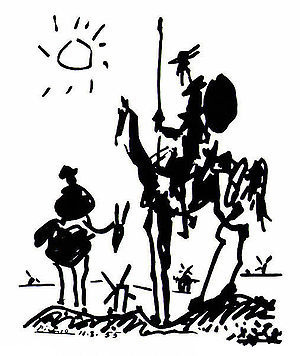 Don Quixote and Sancho Panza is the most simple of the drawings. Sancho Panza is drawn the largest in proportion to Don Quixote that he has ever been, and he follows very closely behind him, although this is made up by the fact that Sancho Panza is barely differentiated from the donkey, in fact in the stomach and hind legs they even seem to overlap. Daumier was a talented artist who spent time in jail for his controversial work. Daumier was both a cynical cartoonist who lampooned Parisian society and government and someone who dropped the satire and created surprisingly sensitive paintings. 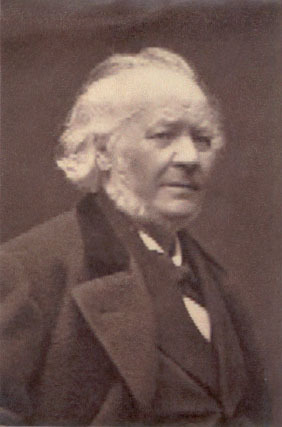 Daumier is most known for the cartoons he produced in the print-making medium, which were a critique on French society and politics as France reeled from the changes wrought by the Revolution, struggling to find a new way (from the many changes of government found during this period), and failing. 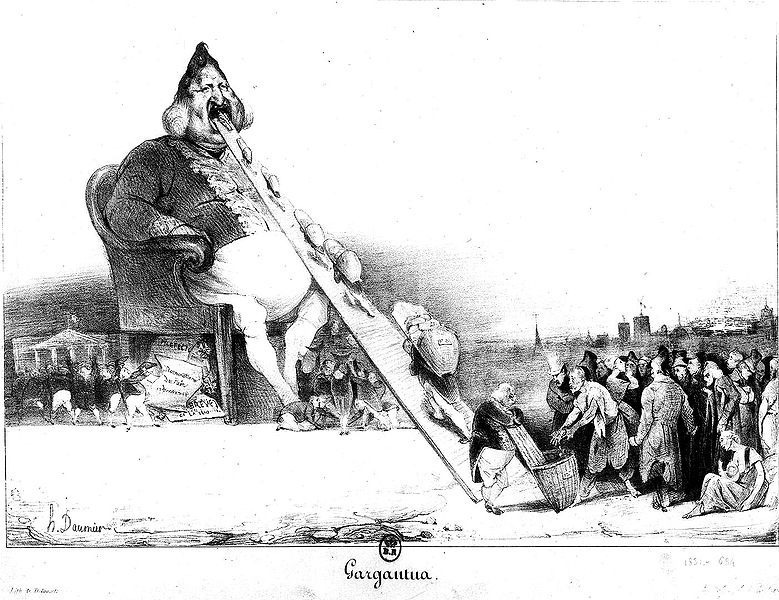 All in all, Honoré Daumier created almost 4,000 cartoons and was clearly an extremely prolific artist. Daumier's later works saw him shifting focus to paintings such as Don Quixote. Although they did not have satire, scholars said that the searing directness of his work was the same as he focused on religious, historical and social justice issues. Although sculpture was not a popular medium during the time period, Daumier also tried his hand at this. 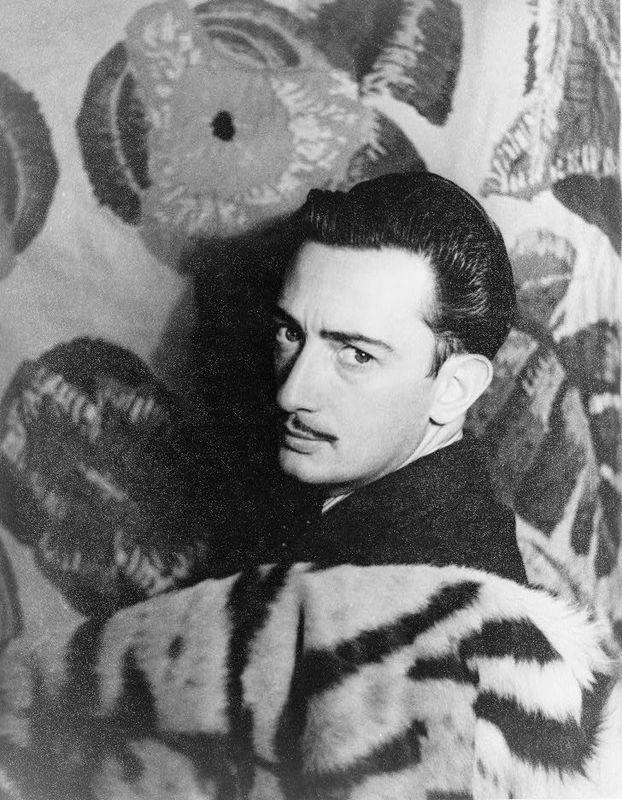 His sculptures were known for being remarkably life-like and experimental, using techniques that masters such as Rodin would later come to on their own. Naturalism deals with depicting life as it is and not how it should be. This makes it similar to the Realist philosophy. However, Naturalism also believes in man's inevitable defeat. This foregone conclusion is what differentiates it from Realism, along with its inclusion of historical material. It is also interested in capturing the minute details of a subject. When Honoré Daumier focuses on contemporary subjects in his paintings and lithographs, he is considered a Realist. 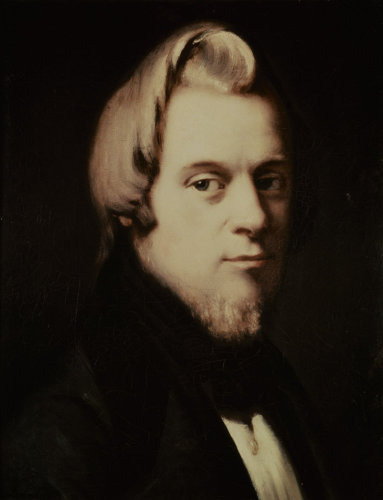 To can find out more about Daumier and his works such as Don Quixote, please refer to the recommended reading list and web sources listed below.